Time for Part Three of Chapter 3 & two more to go! The desire to find a water route to the riches of the Far East first sent French explorers to North America. Magellan's voyage had shown there was no short route through the southern continent. But French explorers thought that there might be such a route through the northern landmass. Several expeditions sailed from France in search of this northern route, which was called the Northwest Passage. Giovanni da Verrazano, an Italian sea captain living in France, commanded the first of these expeditions. In 1524 he sailed from what is now North Carolina northward to Newfoundland. Verrazano did not find the Northwest Passage, but he taught mapmakers something about the eastern coast of North America. 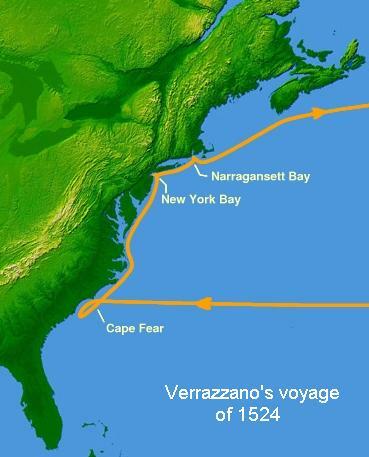 Ten years after Verrazano's explorations, Jacques Cartier made the first of three voyages to North America. During these voyages he discovered the Gulf of St. Lawrence. He sailed up the broad St. Lawrence River as far as present-day Montreal. France based its claims to the St. Lawrence region on Cartier's discoveries. Samuel de Champlain started the first permanent French colony along the St. Lawrence river at Quebec in 1608. He explored as far west as Lake Huron and as far south as New York State. In his honor the body of water along the boundary between present-day New York and Vermont is called Lake Champlain. Samuel de Champlain made 20 exploring trips to the region, gaining the title Father of New France. Champlain became the governor of France's first colony in the New World. It was Champlain who sent Jean Nicolet west to visit the Winnebago Indians of Wisconsin. Nicolet claimed the lands he saw for the king of France. Years later the French returned to explore this land. Father Jacques Marquette, a missionary, and Louis Joliet, a trader, reached the northern part of the Mississippi River in 1673. By canoe, they traveled as far as the Arkansas River before turning back. It remained for another French explorer, Robert Cavalier, Sieur de La Salle, to travel all the way down the Mississippi to the Gulf of Mexico. Before this, La Salle had explored the Ohio River country and claimed it for France. He traveled down the Mississippi in 1682, claiming all the land drained by that mighty river for France. La Salle named the land Louisiana in honor of King Louis XIV of France. At its greatest extent the French empire in North America stretched from the St. Lawrence River in the north to the Gulf of Mexico in the south. In addition, France claimed vast unsettled lands between the Appalachians and the Rocky Mountains. Water routes held together this far-reaching empire. Travelers could go by canoe from Quebec, on the St. Lawrence, to New Orleans, on the Mississippi. Canoes had to be carried around rapids or for short distances from waterway to waterway. Such a task on land was called a portages, from the French word porter, which means "to carry." But even with the portages, water travel was much easier and faster than overland travel. The St. Lawrence, the Great Lakes, the Ohio, and the Mississippi and its tributaries were "water highways" for the French in North America. None of these water highways was the Northwest Passage through the North American continent. Still they permitted the French to carry on a rich business in furs. Sailors on fishing boats visiting the St. Lawrence region brought iron weapons, tools, and trinkets, which they bartered for furs. Fur-bearing animals had become scarce in France. But it was the custom for French nobility and wealthy business leaders to wear clothing made of fur or decorated with fur. For these reasons the price of furs was high. Thousands of people living in the region called New France made their living from the fur trade. French fur traders traveled long distances into the interior of the North American continent. Often they lived for years with Indians, learning their languages and their ways. The French government tried to control traders by requiring each to have a license to trade furs. However, many traders broke the law. They kept on the move, and few settled anywhere for long. Most of France's New World empire remained unsettled. Probably no more than 100,000 people moved there from France. In an effort to attract permanent colonists, the French king granted land to aristocrats, or people of high social standing. The aristocrats had to find settlers and pay for their passage to New France. But this failed. Some of the people who settled New France were missionaries. Thousands of French soldiers came from Europe to North America. Although most of the soldiers returned to France, some remained in the new lands. While stationed in New France, the soldiers built many forts. Most were located on "water highways." French settlers did little to profit from the rich lands of the Mississippi River valley. Instead, settlements in that region were chiefly trading posts or forts designed to protect people from the Indians, the English, or the Spanish. The same was true of French settlements west of the Mississippi. Fort St. Jean Baptiste de Natchitoches (now called Natchitoches) on the Red River in Louisiana was an early center of the western fur trade. So, too, was St. Louis, which later became known as the Gateway to the West. The most heavily settled parts of the French empire in North America were along the St. Lawrence River. Today this area is in Quebec, one of the provinces of Canada. The Canadian cities of Quebec and Montreal contain large numbers of French-speaking people. Indeed, Canada is now a bilingual nation; that is, two languages--English and French--are officially used there. The widespread use of French in the province of Quebec stems from the time when eastern Canada was part of France's North American empire. Two of the 50 United States have French names. They are Vermont, which means "green mountain," and Louisiana. Not long after La Salle claimed Louisiana, the French took steps to found permanent settlements along the lower Mississippi River. In this region you can clearly see French influence in the United States today. The land the French called Louisiana included not only the present-day state, but also parts of Alabama, Mississippi, Tennessee, and Texas. In 1689, the Sieur de Bienville and the Sieur d'Iberville, sons of a prominent Quebec family named Le Moyne, received permission from Louis XIV to colonize the mouth of the Mississippi. Mobile in Alabama, New Orleans in Louisiana, and Biloxi and Natchez in Mississippi were the results of their efforts. In 1718, the Sieur de Bienville laid out the city of New Orleans on a site he had chosen about twenty years earlier. Almost overnight, New Orleans began to rival Montreal and Quebec as the largest city in New France. It became the capital of French Louisiana in 1722. To promote the city's growth, Beienville had a shipload of young, single women sent from France. They were accompanied by nuns until suitable husbands could be found. Fur traders and other men traveled down the Mississippi from as far away as Illinois to claim a bride. Bienville also welcomed immigrants from all nations. Today the French Quarter reminds us that New Orleans was originally a French city. Other parts of the lower Mississippi region also show French influence. Louisiana's present capital, Baton Rouge, has a French name. French influence in Louisiana was increased when thousands of Acadians settled there. The Acadiansn were exiled from Nova Scotia by the English in 1755. At first the French-speaking Acadians were scattered throughout the English colonies, but eventually most of them settled in Louisiana. Sleepy Hollow is going on a short hiatus til July 7th. Don't worry, it will resume on the 7th of July! Well, what's up with this hiatus, is because of 4th of July and we can just sit back this week before we start up with Issue 6 next week. Plus I'll be posting five parts of Chapter 3 this week. Check out Part Three of Chapter 3 tomorrow! No more hiatus for a while for the next few months! We did finish Issue 5 last week and I will update the ABOUT tab with Issue 5's plots. I have been working on the 21st Century Cast since end of May and with only two Issues left for ACT I and I'm thinking of sharing the 21st Century Cast with you guys, today. I will start off with Michelle Sue-Anne Howe . . . Here's Brittney Lee Howe . . . Here's Sarah Hampton . . . In the next newsletter, I will share the guys. I'm only doing the girls first so you guys get a glance on what they look like. I've been updating the Issues we've already done. I wanna make sure that there is no errors and I will do the same for the future Issues & yes I have fix the errors on Issues 0-5. Right now, I have them re-size so that it really look like a real comic book. I was planning on getting VOLUME ONE publish in the near future. I'm still thinking about it and I will let you all know as soon as I get the word from what publishers that will publish my comic. I do have a seasonal comic coming up in October and I will tell more details about it in August and I will remind you in September when the seasonal comic starts. The seasonal comic is an Halloween one. 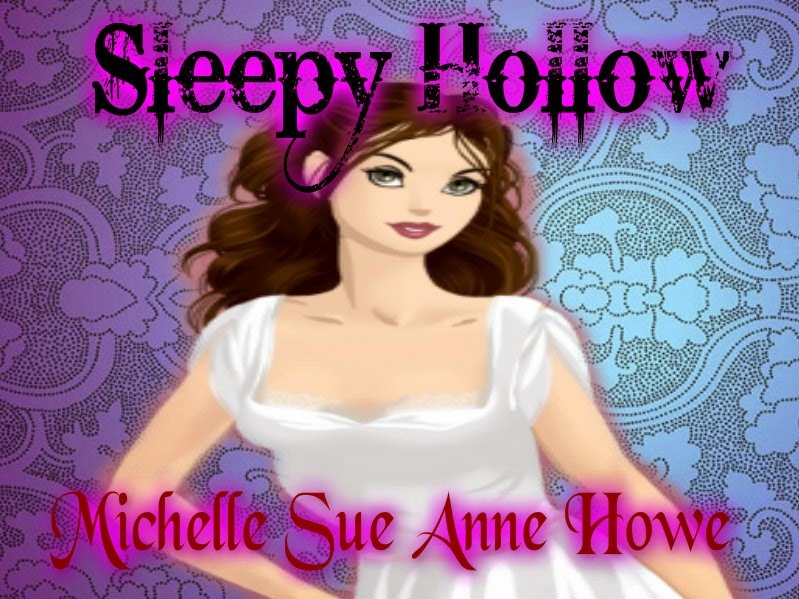 This year will mark the 1st Anniversary of Sleepy Hollow. I still remember the one page update a week and then I went to two. I'll post the ACT I poster on the day of the Anniversary. Right now, I'm working on Issue 14 of ACT III and I've already finish Issue 13 of that act. I have finish working on the outline of the series and I wish I could upload it but it's a doc. file and this blog won't let me upload it so you have to download the file in order to see my outline of the series here, it's on the bottom of the page and the downloads are free and there is an uncut Issue of the The Dreamer. And I have updated my header. Here's the 2nd part of Chapter 3! Columbus started Spain's first colony on the West Indian island of Hispaniola, which today is Haiti and the Dominican Republic. Using this and other island bases, Spanish explorers and colonizers sailed to the mainland of North and South America. Within 100 years after Columbus's first voyage, Spaniards had explored, conquered, and colonized a great empire in the Americas. An empire is made up of the territories and peoples under the control of a powerful country or ruler. The richest parts of Spain's New World empire were in the West Indies, Mexico, and Peru. Hernando Cortes had learned to command troops in the Spanish conquest of the West Indies. In 1519 this Spanish explorer led an expedition to Mexico. It consisted of 600 men with 17 horses and 10 cannons. The Spaniards landed near present-day Vera Cruz and marched inland into the great empire of the Aztecs. The Spaniards' goals were to claim land for Spain, to seek gold and other treasure, and to convert the Indians to Christianity. The men who led the Spanish expeditions were called conquistadores. This word means "conquerors" in Spanish. The Spanish horses amazed the Aztecs. At first the Aztecs treated Cortes and his men like gods. But Cortes ordered the seizure of Montezuma, the Aztec ruler. Then Cortes forced the Indians to hand over their gold and silver ornaments to him. He made them dig new supplies of precious metals from deep mines. Finally the Aztecs rebelled and drove the Spaniards from their capital city. But the Aztecs' victory was only temporary. More troops from the West Indies came to Cortes's aid, as did thousands of Indians who had been conquered by the Aztecs and who hated them. In the fighting that followed, Montezuma was killed, and the Spaniards again took the Aztec capital. With the Aztec empire under his control, Cortes directed further conquests in Mexico. Mexico was used as the base from which other Spanish explorers moved north into what is now the southwestern United States. In South America, another Spaniard, Francisco Pizarro, conquered the Incan empire of Peru. Pizarro commanded fewer than 200 men. Yet the Spaniards, mounted on horses and armed with swords and guns, attacked and killed thousands of Incas. Pizarro then seized the Incas' gold and silver. Most of these precious metals went into the royal treasury of Spain. The conquering of the Aztec and Incan empires destroyed two powerful Native American civilizations. With the flow of wealth from the Americas, Spain became the richest and most powerful country in Europe for more than a century. In 1539, Hernando de Soto led an expedition that landed in Florida. For 4 years the expedition marched through the wilderness. From Florida it moved north into present-day Georgia and the Carolinas. In 1541 the Spaniards reached the Mississippi River at a point south of the present location of Memphis, Tennessee. De Soto died of fever while his expedition was camped on the banks of the Mississippi. One of his lieutenants led the surviving men west to the Brazos River in what is now Texas and then back to the Mississippi. After building boats and rafts, the Spaniards floated down the Mississippi to the Gulf of Mexico. De Soto's expedition failed to find gold or any other wealth. Nearly half of the 600 Spanish soldiers died in the wilderness. However, the expedition made it possible for Spain to add the southeastern part of what is now the United States to the Spanish empire. Tales of "golden cities" led the Spaniards to explore the mountains, plains, and deserts of the American Southwest. Francisco Coronado entered this region in 1540 with an army of 300 Spaniards and 1,300 Indians. Francisco Coronado and his men discovered Indians living in pueblos. But these were not the golden cities they sought. To cover more territory in the search, the expedition split up. One group became the first Europeans to see the Grand Canyon of the Colorado River. Coronado himself led another group as far north as present-day Kansas and Nebraska. All he found were grass-covered plains and large herds of buffalo. Disappointed, Coronado led his expedition back to Mexico. He reported to the governor, "There is not any gold nor any other metal in all that country." While Coronado explored by land, Hernando de Alarcon tried to link up with Coronado's expedition by sailing up the Colorado River from the Gulf of California. The plan failed because neither Coronado nor Alarcon knew the vast extent of the American Southwest. About the same time, Juan Rodriguez Cabrillo was oredered to explore the Pacific coast by sea. Cabrillo died along the way, but the two ships he had commanded sailed as far north as present-day Oregon. When exploring parties from the ships went ashore, they saw and spoke to many Indian tribes. Spaniards gave the name California to the land they explored along the Pacific coast. The name came from an imaginary land described in a popular book of the time. But reports on the actual land were discouraging. There were no Aztec or Inca empires along the western coast of North America. The Spaniards used three different methods of settlement in the New World. Sometimes a large land grant was given to a Spanish noble or other person as a reward for that person's service to Spain. The Spanish king also awarded encomiendas to certain colonists. An encomienda was a large estate where a group of Indians lived under the colonist's care and supervision. The colonist was to teach and protect the Indians, and convert them to Christianity. In return the Indians were to spend most of their working time in the colonist's fields or mines. The encomienda system was misused, however, and the Indians became little more than slaves. The large estates on which these colonists lived were called haciendas. A hacienda could be a plantation or ranch. Sometimes the word hacienda also referred to the owner's house. Another type of settlement was the mission. A mission usually consisted of a church, living quarters for the priests and Indians, and workshops. At the mission the Indians were converted to Christianity, taught Spanish, and introduced to European customs. They were also taught to raise livestock and to grow crops in the fields surrounding the mission. Many learned crafts such as weaving, carpentry, and blacksmithing. Missions were the most common form of Spanish settlement in the present-day United States. Spanish soldiers also helped to settle the New World. They built presidios, or small forts, to protect the colonists from invasion by the Indians, the English, and the French. Some of these presidios grew into towns or cities. St. Augustine, Florida, is the oldest permanent European settlement in the continental United States. It begans as a presidio in 1565. To rule their vast territories in the New World, the Spaniards divided their empire into two great viceroyalties, or regions, called New Spain and Peru. New Spain included all of Spanish America north of Panama. Florida, New Mexico, Arizona, California, and part of Texas formed the northern boundary of New Spain. The viceroyalty of Peru included the present countries of Panama, Venezuela, Colombia, Peru, and Chile. Each viceroyalty was governed by a viceroy, or vice-king.He stood in the place of the Spanish king in America. The Spanish system of government gave rise to four social classes in the Americas. At the top were the major officeholders of the empire. There were the viceroys, judges, high church officials, and governors. Most of these officials were born in Spain. Usually they returned to their homeland after their term of service in the New World. 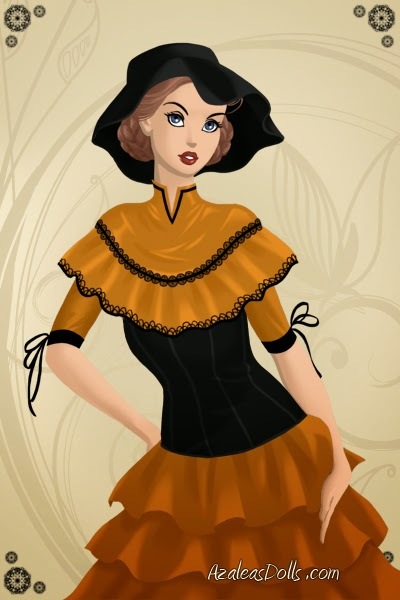 There were called peninsulares because they came from the Iberian Peninsula. Below this group were the creoles, people born of Spanish parents in the Americas. They were priests, army officers, merchants, and small landowners. The mestizos were of mixed European and Indian ancestry. Mulattoes were of mixed European and black ancestry. They formed a lower middle class of small farmers and shopkeepers. The Indians and the blacks, who were imported as slaves, belonged to the lowest class. Signs of Spanish influence are readily seen in the United States today. Churches, public buildings, and ranch-style houses in the Southwest show the influence of Spanish colonial architecture. Some laws regulating the use of water in this dry region are of Spanish origin. We think of the cowhand as being typically American. But the vaquero, or Spanish cowhand, invented most of the equipment used on the range. The cowhand's hat is called a sombrero, and his rope, the lariat, comes from the Spanish term la reata. Longhorn cattle were brought to the West by Spanish colonists, as were the ancestors of the cowhand's horse. Riding and roping contests called rodeos date from an old Spanish custom. Spain's worldwide empire lasted for more than four centuries. Today immigrants from former colonies of that empire are numerous in several regions of the United States. In the areas where these immigrants and descendants of immigrants live, the Spanish language is still widely spoken. Come back tomorrow for the June's newsletter! Check out Part One of Chapter 3! I will be posting Chapter 3 this whole week & this chapter has five parts. Christopher Columbus was born in the old seaside city of Genoa, Italy, in 1451. His father and his grandfather were weavers. His mother was a weaver's daughter. But Columbus chose to go to see. Christopher Columbus had two brothers. Bartholomew, the older, was though, skillful, and loyal. He became a partner in the project that resulted in Columbus's voyages to America. The other brother was named Diego. Though willing enough, Diego failed as a sailor and colonist in the New World. Later he became a priest. Columbus had a sister named Bianchinetta. She married a wine merchant in Genoa. Little more is known of Bianchinetta. When Christopher Columbus was 25, he sailed with a fleet of merchant ships from the port of Genoa. Off the coast of Portugal, Columbus's ship was attacked and sunk. He saved himself by grabbing a large oar. Hanging onto it, he floated to the coast of Portugal, 6 miles away. Columbus stayed in Portugal for several years. There he sailed with and talked to many experienced sailors. At that time Europeans were talking of finding a water route to the Far East, or East Asia. There was a great demand in Europe for the silks, spices, and other products of eastern Asia. Trade with the Far East by way of land routes had proved to be slow, costly, and dangerous. A water route would be much better. Some sailors talked of reaching Asia by sailing south from Portugal and then east around Africa. In this way they hoped to reach the rich islands off the southeastern coast of Asia called the Indies. Gradually, Columbus formed another plan. Like other people of the time, he believed the world was round. If so, Columbus could reach the Indies by sailing west from Europe. Christopher Columbus presented his plan to the king of Portugal. Much to his disappointment, the king's advisers turned down Columbus's plan. For this reason the Columbus brothers traveled to the court of King Ferdinand and Queen Isabella of Spain. They succeeded in getting approval there, though it took 6 years. The king and queen of Spain furnished the Columbus brothers with three ships--the Nina, the Pinta, and the Santa Maria. Each ship was less than 100 feet in length. The little fleet sailed from the harbor of Palos, Spain, on August 3, 1492. At the Canary Islands, off the west coast of Africa, the ships made their first stop. The crews rested there and made needed repairs on their ships. They took on supplies for a long voyage before lifting anchor once more. This time they sailed directly westward. On September 9 the three ships passed the last island then known to European sailors. After sailing for more than a month, Rodrigo de Triana, a lookout on the Pinta, doubted the ships would ever reach land. But as a good sailor, he still kept watch carefully. Several hours before sunrise on October 12, he thought he saw something like a white cliff shining in the moonlight. "Land! Land!" he shouted. Within a few minutes the captain of the Pinta also saw the land. He ordered a cannon fired as a signal that land had been sighted. As the three ships sailed closer together, Columbus called from the Santa Maria that the Pinta had sighted land first. The rising sun revealed an island in the distance. When Columbus went ashore he knelt to kiss the soil. With tears of joy in his eyes, he named the island San Salvador, Spanish for "Holy Savior." It was one of the many small islands in the Bahamas. Columbus and his crew stayed for a few months in the islands they had discovered. They believed these were the rich Indies near the coast of Asia. For this reason, Columbus called the people there Indians. To this day the islands he explored are known as the West Indies. After his first voyage, Columbus sailed to the New World three more times. On these voyages his ships carried colonists, seeds for planting, pigs, cattle, chickens, sheep, and goats. On his third voyage, Columbus reached the coast of South America. However, he never saw any part of the mainland of what is now the United States. Columbus had an agreement with the Spanish rulers and businesspeople who backed his first voyage. He was to be made admiral and also governor of the islands and continents he might discover. Moreover, these titles were to pass to his elder son and the son's heirs. In addition Christopher Columbus was to receive 10 percent of the profits from "pearls, precious stones, gold, silver, spices, and all other things" obtained as the result of his discoveries. Had things worked out differently, Christopher Columbus might have been the riches man in the world. Instead he never received anything close to the 10 percent promised him. Disappointment, poverty, and ill health clouded his last years. He died in 1506, a bitter man. As you read in the last chapter, the first people to reach America were probably those who came from Asia by way of the Bering Strait land bridge. Nor was Columbus even the first European to reach America. Centuries before Columbus's first voyage, the Vikings had visited the North Atlantic islands of Iceland and Greenland. The Vikings were a bold, seagoing people who came from what are today the countries of Norway, Sweden, and Denmark. According to legend a Viking named Bjarni Herjulfson set out for a small Viking settlement in Greenland but was blown off course. The storm drove his ship to a coast west of Greenland. In time he returned to Greenland with the exciting news of a land to the west. A few years later another Viking, Leif Ericson, accidentally reached this new land. He and his crew spent a winter there. They called it Vinland, which means "land of vines," because of the wild grapes they found there. Other Vikings founded a colony in Vinland. A colony is a settlement that is ruled by another country. Although no one actually knows the location of the Vinland colony, archaeologists have discovered the remains of a Viking colony on Newfoundland. The buildings and artifacts prove that the Vikings lived there around the year 1000. The Viking colonies, however, were shortlived. The discovery of a land across the sea was soon forgotten. In contrast, news of Columbus's discovery spread through Western Europe. His first voyage led directly to the exploration and colonization of the New World. That is why Columbus, even though others came before him, is called the discoverer of America. Soon after Columbus's third voyage, Pedro Cabral, a Portuguese sea captain, set out on a voyage down the coast of Africa. Storms blew his ship far off course, and he landed on the coast of South America. Cabral claimed for Portugal the land that we now call Brazil. It was, however, the Spaniards who led the way in exploring the mainland of the American continents. In 1513, Vasco Nunez de Balboa crossed the Isthmus of Panama. He became the first European to see the Pacific Ocean from the shores of the New World. In the same year, Juan Ponce de Leon discovered the peninsula he named Florida, while searching for a fountain of youth. These and other explorers soon suspected there was more land in the New World than anyone had first realized. Still they hoped there was a way around or through this land. Such a passage would make it possible to reach Asia by sailing west, as Columbus had believed. In 1519 the Spanish king, Philip II, sent Ferdinand Magellan to look for a passage through the newly discovered lands. Magellan was Portuguese but had enlisted in the service of Spain. After crossing the Atlantic in five ships, Magellan's expedition spent the winter on the coast of South America. One ship was lost in a storm, but the other four sailed, south in the spring. At the southern end of South America, they entered the strait, or narrow passage of water, that today bears Magellan's name. In the stormy strait the crew of one ship seized control of the vessel and headed back to Spain. The other three ships sailed into the ocean that Magellan named the Pacific, which means peaceful, because it seemed so calm. For months they sailed across this huge ocean. Food supplies ran out, forcing the men to eat rats and to chew pieces of leather. At last they reached Guam, an island in the Pacific. After finding food, they sailed west until they reached a group of islands, later named the Philippines for King Philip of Spain. On one of these islands Magellan was killed when he took part in a battle between rival Filipino groups. With the death of its commander, this voyage might have ended in the Philippines. But it did not. Juan Sebastian del Cano took charge of the one remaining ship, the Victoria. He and his crew sailed south, picked up a cargo of spices in the Indies, and then sailed westward across the Indian Ocean. After passing the Cape of Good Hope, at the southern tip of Africa, the ship turned north into the Atlantic. In 1522 it reached Spain, 3 years after it had first set sail. The Victoria was the first ship to sail around the world. The Voyage proved it was possible to reach Asia by sailing west from Europe. Even so, very few explorers wanted to suffer the hardships of such a lengthy voyage. In the years that followed, they devoted their attention to exploring and colonizing the American continents. Christopher Columbus not only lost the chance to become the richest man in the world--the lands to which he led the way were named for someone else. Amerigo Vespucci was a skillful navigator born in Florence, Italy. He took part in several Spanish and Portuguese voyages to the New World. He claimed to have been a member of an expedition that in 1499 discovered the mainland of a continent. Martin Waldseemuller, a German geographer and mapmaker, published some of Amerigo Vespucci's accounts in 1507. Along with the accounts Waldseemuller printed 12 pages of maps with the name "America" spread across each page. The maps showed all the discoveries made in the New World up to that time. Waldseemuller called the New World "the fourth continent," suggesting it be named for Amerigo Vespucci because he had discovered it. Not many people agreed with Waldseemuller about the discovery. But the book and Waldseemuller's maps became so popular that people got into the habit of calling the New World that was being explored "America." Still the name of Columbus is remembered in a number of ways in the lands he discovered. The republic of Colombia in South America is named for him. Twenty-seven of the United States have counties, towns, or cities named Columbus or Columbia. The District of Columbia is the site of our nation's capital. The mighty Columbia River drains a good part of the Pacific Northwest. No one in the United States celebrates Amerigo Vespucci Day, but 40 states make Columbus Day a legal holiday. So Christopher Columbus is far from being forgotten as the foremost European discoverer of America. This post is met for Saturday, which is today. This is the final page of Issue 5! 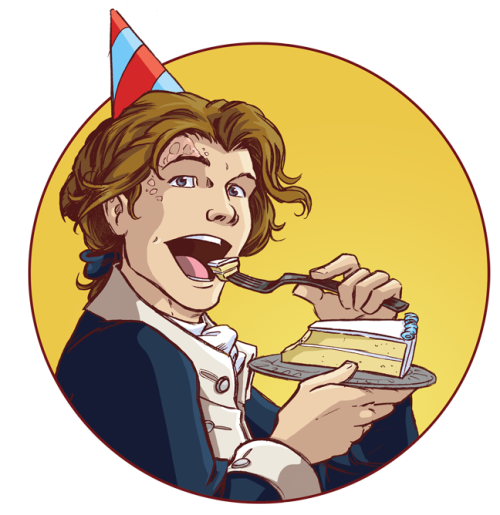 Sleepy Hollow is taking a week off next week and there is a newsletter on Monday! I will tell you more on Monday. 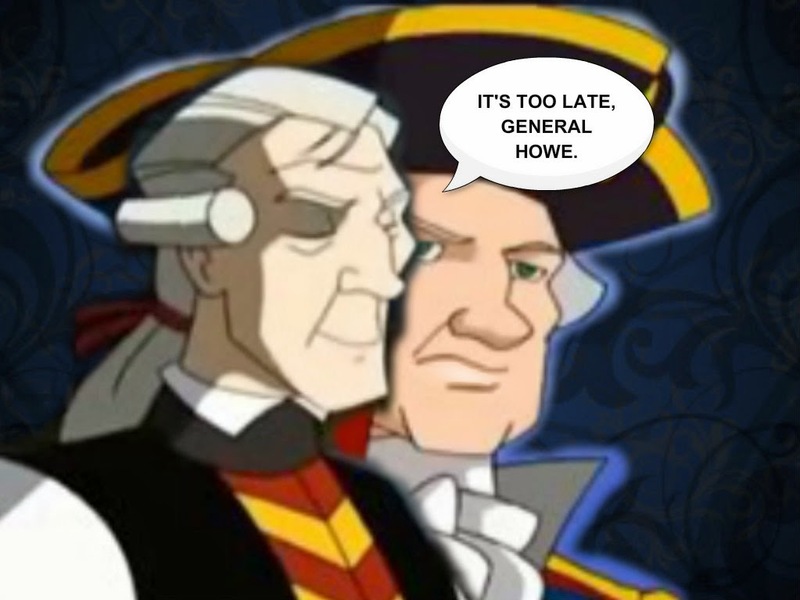 How do you guys feel about General Howe being the main character? Things are starting to get creepy and scary for William and John. We will end Issue 5 on Friday and remember to come back on Monday for the monthly newsletter! VOTE to support my comic! 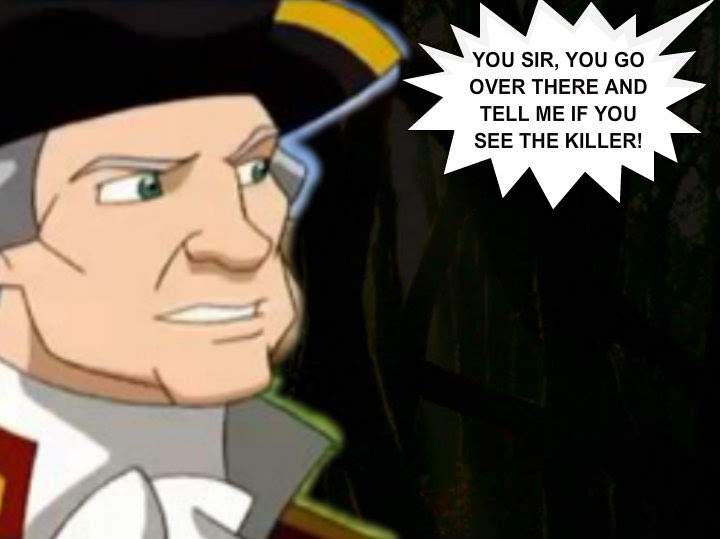 Both Howe and John Phillips are now in the woods, trying to find Clinton, and John Phillips is getting scared while searching for Clinton or the headless horseman. We are down to 2 pages now! I will be planning on adding Issues 0-4 Plots sometime next week (or earlier) and I will be using the blogspot for each Issue we've done so far. I will also open up a tab on Wordpress and put the link for it in the ABOUT tab on the blogspot. I really want to get all of this finish before I start adding Issue 5's. 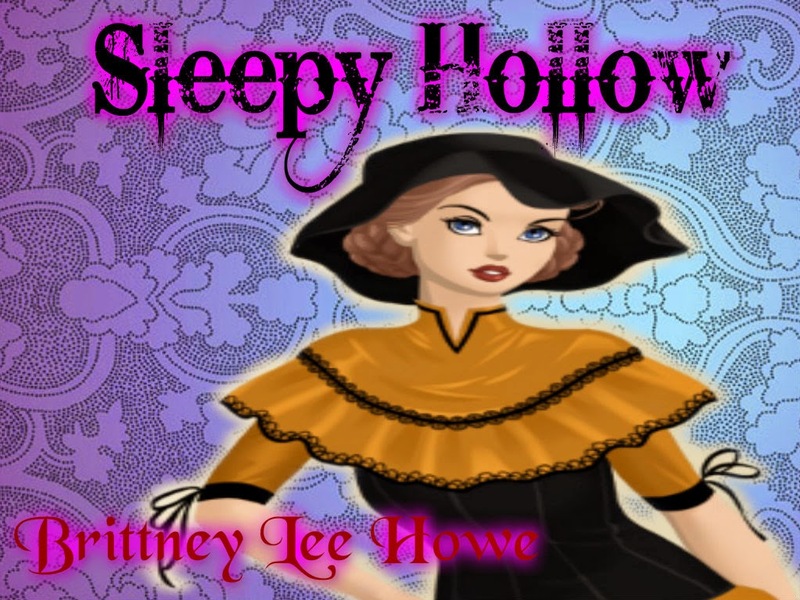 I have re-updated Issues 0-5 with the size: 617 x 936 of every page and it will be the main comic size for Sleepy Hollow. And I also re-updated the bio & the seasonal comic with the main comic size. There are 3 pages left of Issue 5 and there is another hiatus on the way, but a shorter one this time and the June's newsletter is the last Monday of June and there won't be any page updates on that week and you will hear more about it in the newsletter. Howe is now in a hurry and he really want to save Clinton from being killed by the headless horseman. Issue #5 will end next week! What is your favorite Issue so far? John Phillips finally made up his mind this time! And he will tag along with Howe to find Clinton and make sure that both of them will be safe. We are very close to the end of Issue 5! Tom is telling his brother that he needs to follow General Howe's orders instead of Clinton's orders. Do you think if John Phillips will ever change his mind or he will still continued to follow Clinton's orders? VOTE to view the upcoming page and help to support my comic! Oh yes you can, John! John Phillips is still under Clinton's orders and he's trying to follow them to keep Howe safe and also putting Clinton in even greater danger. Bryan also tells him that Howe is far higher rank than Clinton. Flag Day is tomorrow, guys! VOTE! to view the upcoming page and to help support my comic! The suspense is still growing as we get ready to finish Issue #5. Howe and Tom tries to tell John Phillips to let Howe out there to try to save Clinton before he's about to lose his head. The suspense is starting to rise while Issue #5 is getting close to the end. VOTE! to view the upcoming page and to support my comic! John Phillips tells Howe to stay out and Howe said no this time. John Phillips sure has a big mouth for being a captain. VOTE! TO VIEW THE UPCOMING PAGE! Howe is trying to stay strong in the room and he's trying to get out of the room to find Clinton before its too late. Who do you think is the strongest of all . . . General William Howe or Tom Phillips? I am re-updating Issue #0 at this time and I'm trying to fix the spelling and grammar errors for Volume 1. The Book One cover & title are up along with Vol. 1's cover. And Issue #0's cover are up. They all have been up since Wednesday and I will add pages 1-5 so I will add 5 pages at a time and I still will continued Issue 5 & the rest of ACT I. Pages 1-5 will be updated on Monday! I think John Phillips seems like he already hated John Hampton for some reasons. Hampton seem to not enjoying or taking part with the dreams nor the headless horseman. I'm reworking on Issue #0 at the time. You still can read the latest page on DA! I wish I could just go on another hiatus but can't at this point and I won't be til the first week of July. Right now I'll post 5 pages at a time but it will be on the days I update the new pages and I will still update what I have done til we get to the end of ACT I.
John Phillips is very commanding!